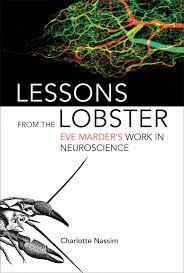 Charlotte Nassim's new book Lessons from the Lobster: Eve Marder's Work in Neuroscience describes the intellectual journey of one of neuroscientists true pioneers. Not only has Dr. Marder been part of the field since its early days, but she has consistently done paradigm shifting work. Although Nassim never mentions the Nobel Prize, I suspect that many readers will come away convinced that Marder deserves that award. In BS 147 I provide an overview of Marder's career based on Nassim's meticulous research. The emphasis is on Marder's key contributions including those related to neuromodulation, the dynamic clamp technique, and the importance of variability. The episode is more technical than usual and will appeal most to students and working neuroscientists. However, I hope it will also give non-scientists a sense of what it means to be a truly outstanding scientist. Goaillard, J.M., Taylor, A.L., Schulz, D., & Marder, E. (2009) Functional Consequences of animal -to-animal variation in circuit parameters. Nature Neuroscience, 12, 1424-1430. Turrigiano, G, Abbott, L.F., & Marder, E. (1994) Activity-dependent Changeds in the Intrinsic Properties of Cultured Neurons. Science, 264, 974-977. Marder, E. (1984). Mechanisms underlying neurotransmitter modulation of a neuronal circuit. Trends in Neurosciences, 7, 48-53. Marder, E (1974) Acetylcholine as an excitatory neurotransmitter in the stomatogastric system of the lobster. Nature, 251, 730-731. Subscribe to our free newsletter to get show notes automatically every month. Email Dr. Campbell if you want to learn more about our 2019 trip to Australia.